They are all undergraduates of Obafemi-Awolowo UniversityIfe, Nigeria. 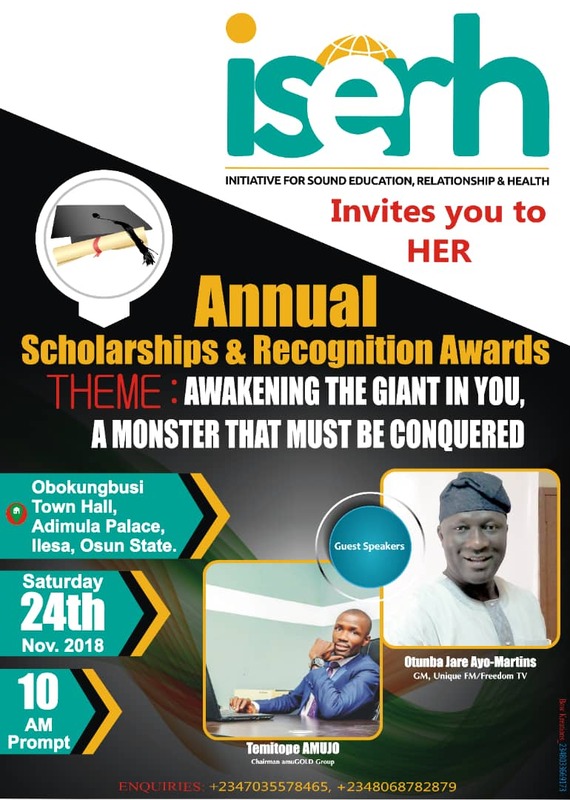 While in Secondary/High School, they all sat for Aspiring the Best Competition (ABC) in different years for the purpose of winning ISERH SSCE/UTME Scholarship and to as well become ISERH Ambassadors in order to get qualified for various learning opportunities. They won the scholarship and Iserh Nigeria sponsored their Senior School Certificate Examinations (SSCE) and/or Unified Tertiary Matriculation Examinatio (UTME) - a university/college entrance examination. 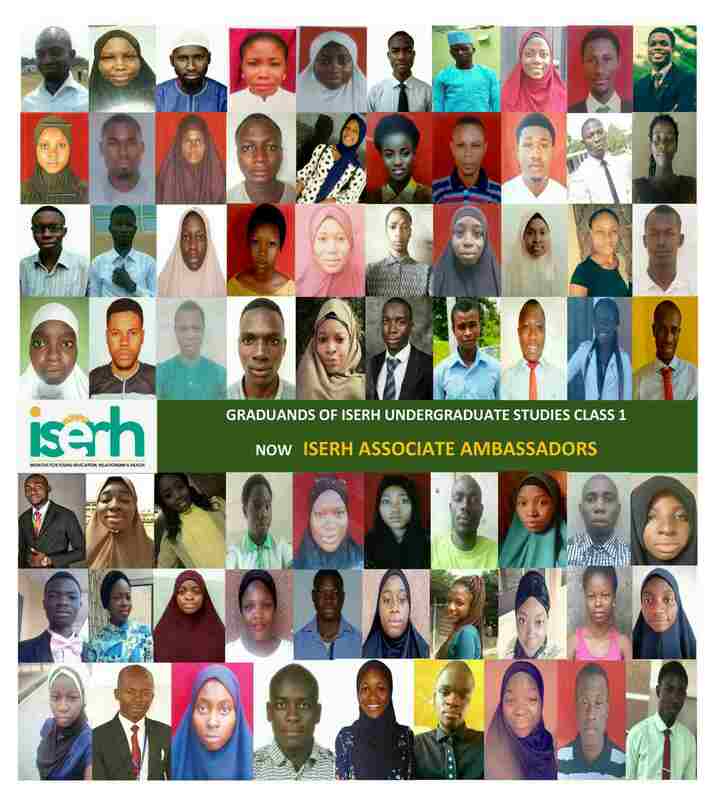 They are today known as our valued ISERH Ambassadors. We now have 17 of them as undergraduates of Obafemi Awolowo University (OAU) while 1 is now a graduate of the same institution - Akindele Peter Piroll. They all came together yesterday to strengthen their relationship, academic, and plan on ways to also touch many more lives, having identified that they represent different professions of needs in the country: Nursing, Pharmacy, Medical Rehabilitation, Biochemistry, Industrial Chemistry, Agricultural Extension, Computer Science, Management & Accounting, Survey and Geo Informatics, Mechanical Engineering, Quantity Survey, Civil Engineering, etc. Due to their heterogeneous lectures times, only 6 of them could be present for the meeting while the rest sent in their excuses. They are all belong to a Whatsapp Group created for the same purpose. Present were (L-R): Abiodun Kudirat - Microbiology Dpt, Olufemi Sayo Samuel - Management & Accounting Dpt, Olufemi Timilehin Daniel - Medical Rehabilitation Dpt, Oluyemi Tosin - Mechanical Engineering Dpt, Harbbyhodun Oluwadare - Civil Engineering Dpt, Okoli Damilola - Industrial Chemistry. At the Initiative for Sound Education, Relationship and Health, nothing gives us more joy than seeing the beneficiaries of our programs excelling academically and in other facet of life. Nothing magnifies our impacts than seeing our Ambassadors planning of touching more lives because theirs have been and it is still being touched. 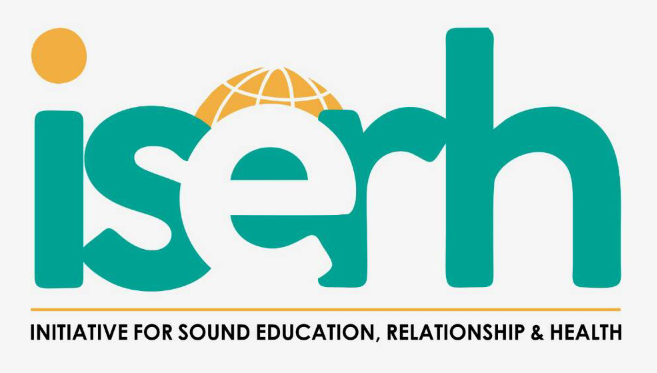 'Ethical Leadership' is part of our vision and we can't be less happy and appreciative of our sponsors and donors to our programs for making this a reality via ISERH Ambassadors OAU Chapter's effort. For our ambassadors in other schools, we await the great news from your end. You are the FUTURE that is becoming TODAY!